1. 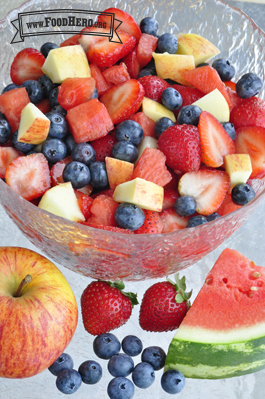 Place watermelon, strawberries and blueberries in a serving bowl. 2. Add your choice of diced apple, banana or pear. Gently mix well. 3. In a small bowl combine lime juice and honey. Pour over fruit and toss to coat.